Scientists have taken early steps towards developing an artificial ovary that could lead to improved fertility preservation treatments. The technique is aimed at helping women at risk of becoming infertile, such as those who receive chemotherapy. The Danish scientists removed parts of the ovary and altered them so they could potentially be transplanted later when the woman wants to conceive. Experts say the work is “exciting” but human testing is still needed. Treatments for cancer, such as chemotherapy and radiotherapy, can often damage the ovaries and leave women infertile. One way women can preserve their chances of conceiving is with an ovarian tissue transplant, where all or part of the ovary is removed and frozen before it is damaged so that it can be used at a later date. This is the only fertility preservation treatment available for girls who have not started ovulating. But there is a small risk that in those with cancer the ovarian tissue may contain cancerous cells, raising the chances of the illness returning when the transplant takes place. This risk, although “very low”, means women with certain forms of cancer, such as leukaemia and those originating in the womb, are unlikely to be offered the transplant. 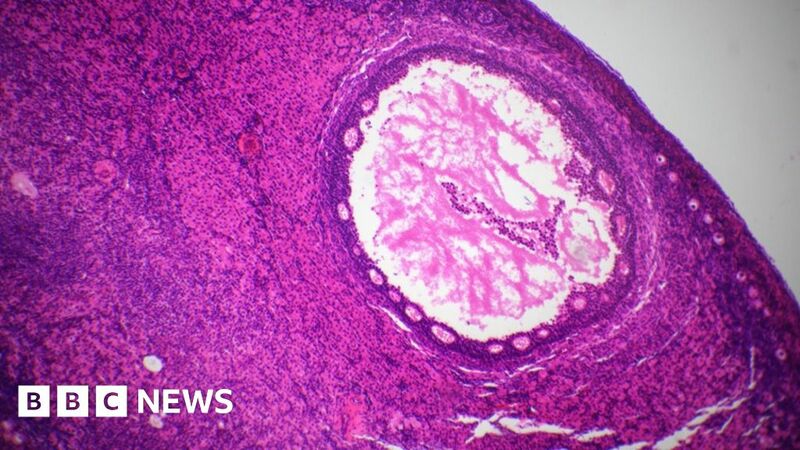 To eliminate that risk, scientists from the Rigshospitalet in Copenhagen, Denmark, took ovarian follicles and ovarian tissue from patients due to have cancer treatment. They then removed the cancerous cells from the ovarian tissue, leaving behind a “scaffold” made up of proteins and collagen. Scientists were then able to grow the ovarian follicles on this engineered scaffold of ovarian tissue. This artificial ovary was then transplanted into mice, where it was able to support the survival and growth of the ovarian cells. Experts said the “exciting” technique needed to be tested in humans. But they said it might have advantages over other fertility treatments. Stuart Lavery, consultant gynaecologist at Hammersmith Hospital, said the ovarian tissue transplants potentially contained thousands of eggs that would enable women to get pregnant “naturally”, as opposed to IVF where an egg is fertilised in a laboratory and then returned to the womb. Dr Gillian Lockwood, medical director of Midlands Fertility Services, said another advantage of ovarian tissue transplants is that they could enable women to restart their periods after damaging treatments, preventing the need for hormone replacement therapy. The treatment will need to be tested in humans first – a development expected to take place in the next three to four years. The research is being presented at the annual meeting of the European Society of Human Reproduction and Embryology.